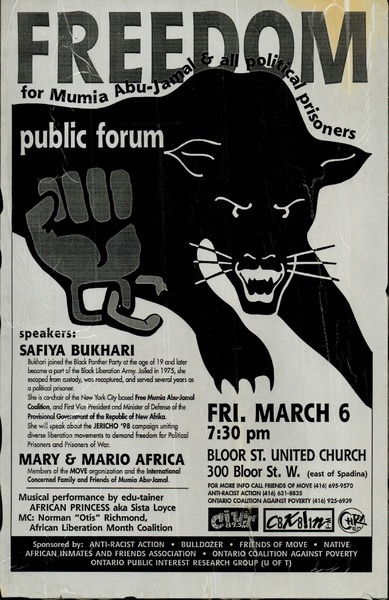 Poster advertising an assembly organized by OCAP to plan a province-wide action. 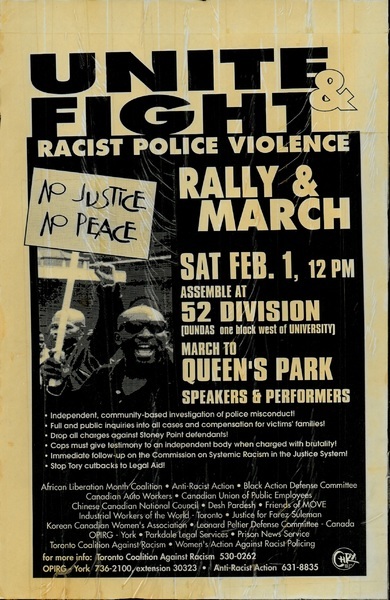 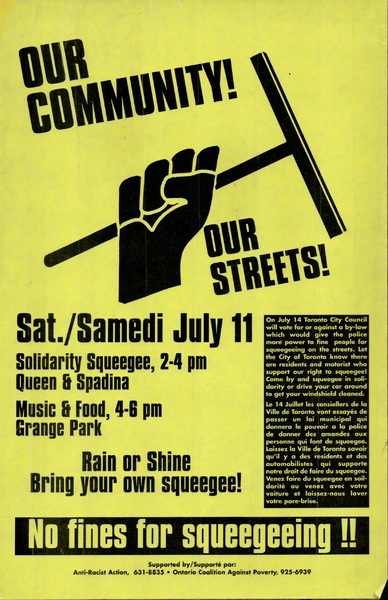 Poster for a demonstration against police racism which rallied at Queen's Park and marched to Police Headquarters (College Street) and to 51 Division. 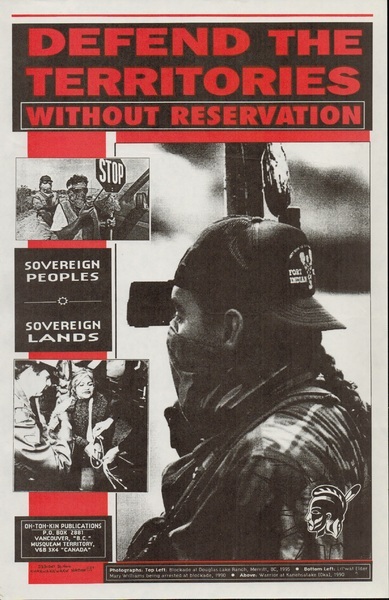 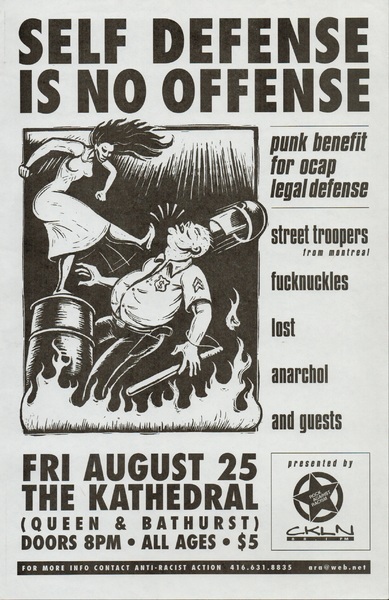 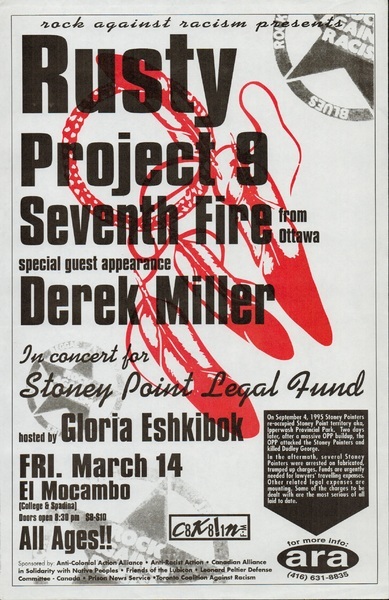 Poster advertising a "punk benefit for ocap legal defense"
Poster depicting acts of resistance by Indigenous people's against Canadian aggression on their sovereign territory. 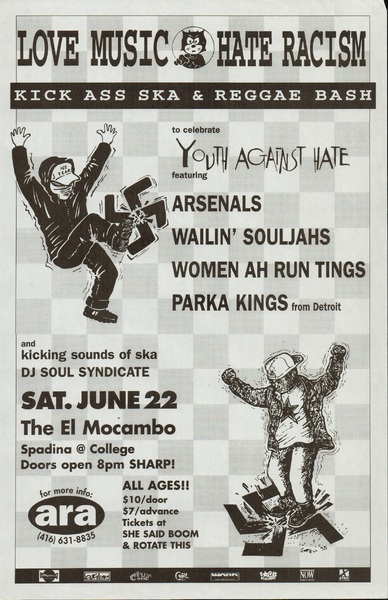 Poster for a concert sponsored by Rock Against Racism. 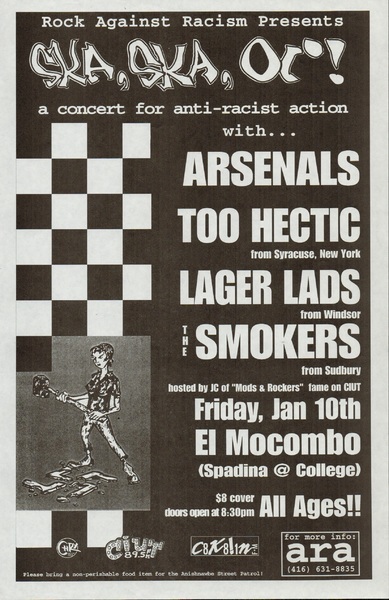 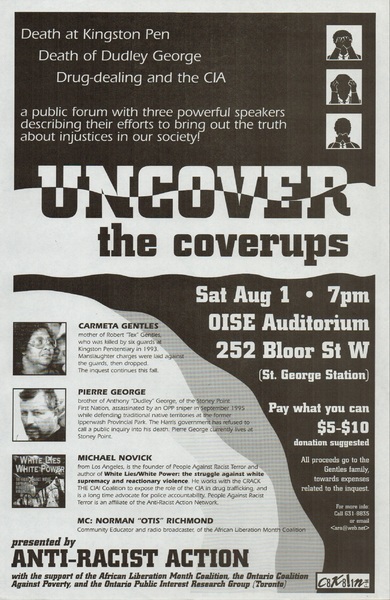 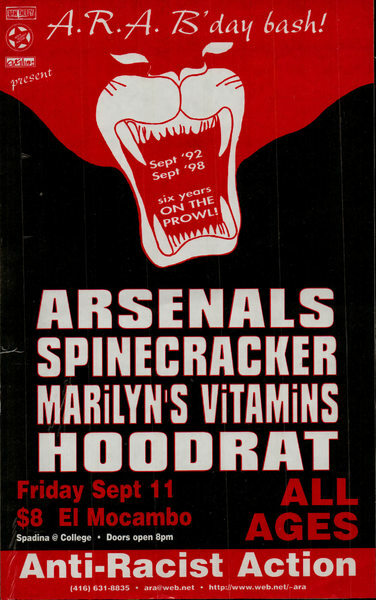 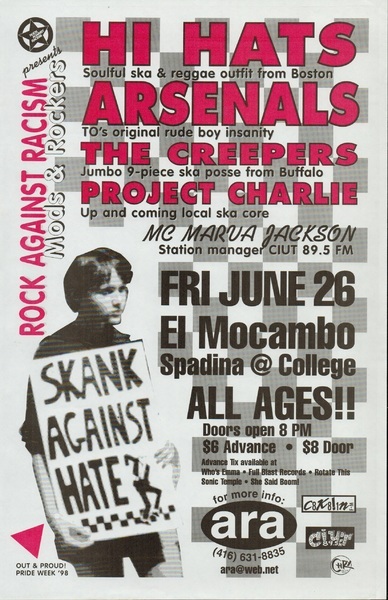 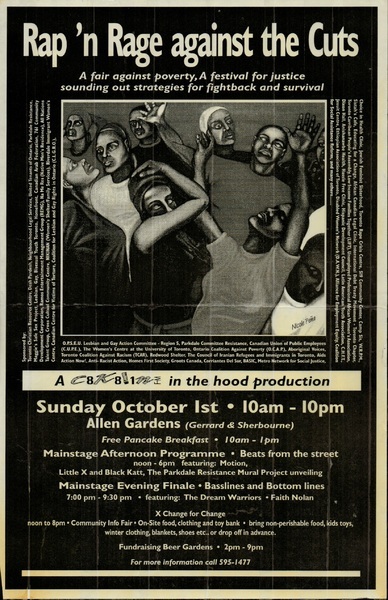 Poster advertising a concert for Anti-Racist Action. 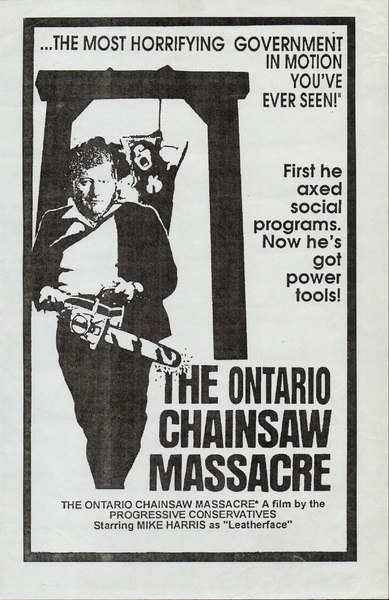 Poster comparing cuts to social services by the Mike Harris government in Ontario to the classic horror film The Texas Chainsaw Massacre. 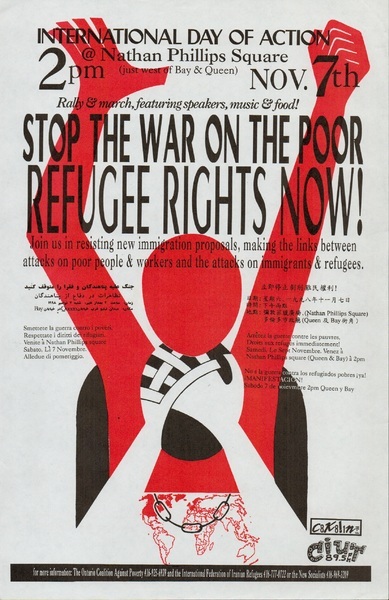 Stop the War on the Poor, Refugee Rights Now! 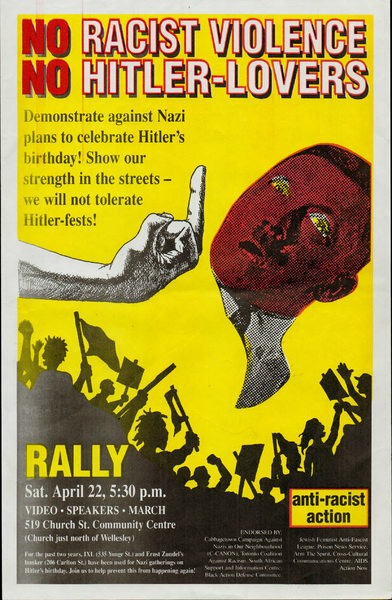 Poster advertising a "rally & march, featuring speakers, music & food!" 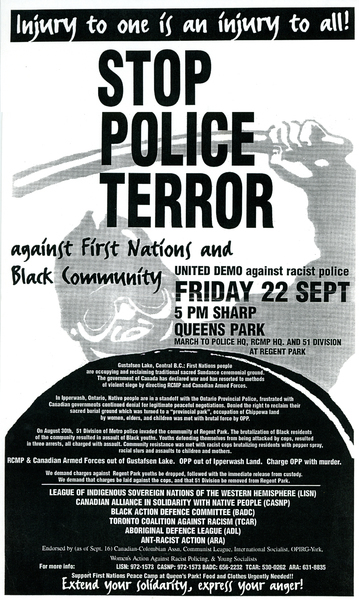 Poster for rally and march protesting police violence. 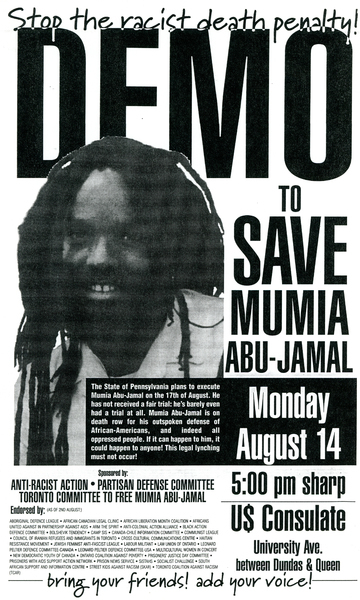 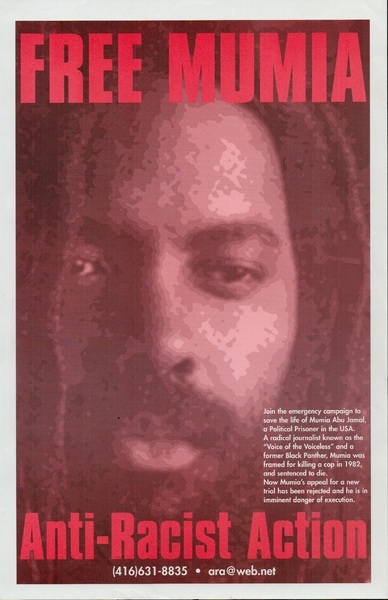 Poster for a public forum on how to advance the fight to free Mumia Abu-Jamal and other political prisoners. 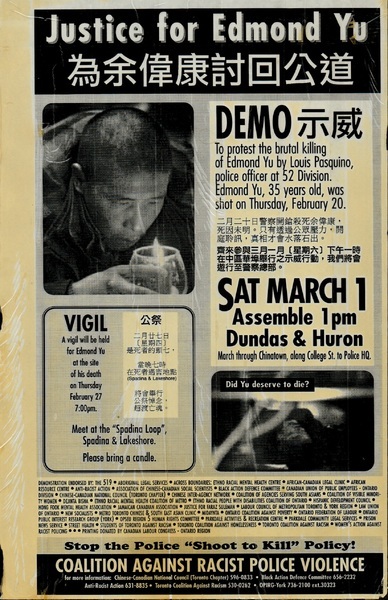 Poster advertising a rally to demand justice for the police murder of Edmond Yu.